In September 2014, the Government introduced a new National Curriculum. This set out the expectation of what should be taught within each year group. The full National Curriculum can be found here. Please note some subjects have objectives for Key Stages rather than individual year groups. Please see the curriculum section of our school website for details of how we break these down for different year groups. The previous assessment system involved levels being given to children. This was deemed by the Government to no longer be appropriate. More information can be found on p12-15 of the following document. Each school was given the autonomy to decide upon their own approach to assessment, but without the use of levels. This information on this page is designed to give you details of our assessment system at Bramley St Peter’s. To develop a system that assesses children accurately against the end of year expectations set in the National Curriculum for reading, writing and maths. To show the progress children are making, across an academic year, towards the end of year expectations. Staff within the school are using the Michael Tidd (a Deputy Headteacher from Nottinghamshire) objectives as the basis for our assessment for maths, reading and writing. These documents outline the objectives. These objectives take key aspects from the National Curriculum and use them to assess where children are in relation to the end of year expectation. Not everything that we teach can (or should) be formally assessed. Not everything in the statutory curriculum is suitable for recorded assessment. Some key objectives in each year group are essential if a child is to be able to fully access the following year’s curriculum. Most children should be working towards the objectives for their year group. Recorded assessment should be linked to what has been learned. Tracking should derive from – not drive – regular assessment. We track children against the individual objectives and the end of year expectations (all the objectives combined). Here is some information to explain how we do this. As a church school, we also assess children's progress within the RE curriculum. Here is some more information about how we do this. 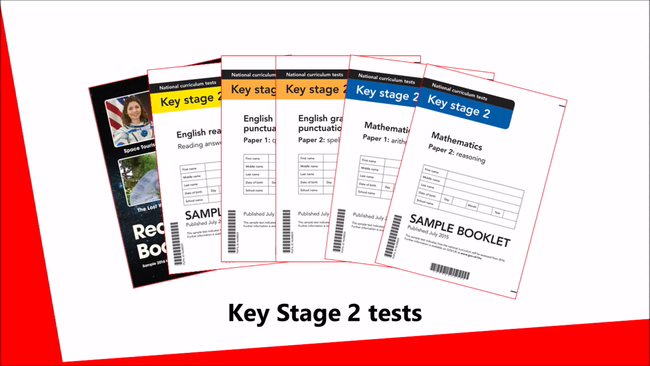 A short video aimed at parents to give outline information about the National Curriculum tests. 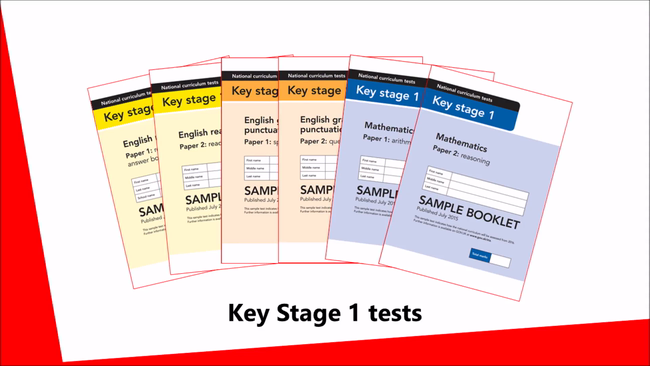 The sample SATs papers and all past papers can be found via this link. The teacher assessment frameworks for 2018-2019 can be found via this link.